It’s just good practice to know when your packages fail and act accordingly. I use this gem all of the time when creating any kind of package. I can copy these two Control Flow items into the event handler at the package level of any package and the rest takes care of itself. 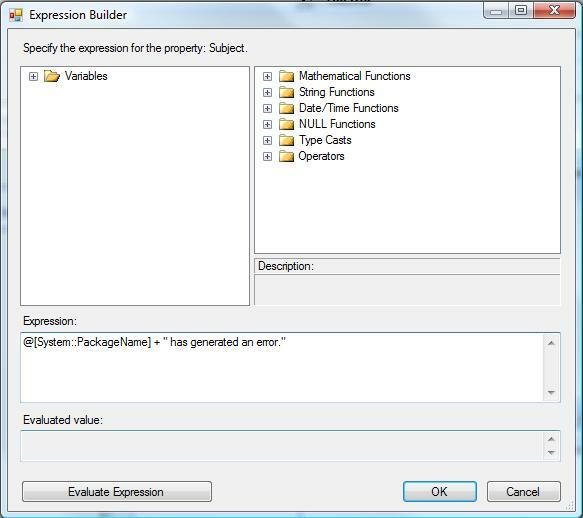 First create a string variable called ‘Error’ at the package level. 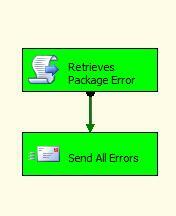 Now, click on the ‘Event Handler’ tab an import a ‘Script Task’ and a ‘Send Mail Task’. 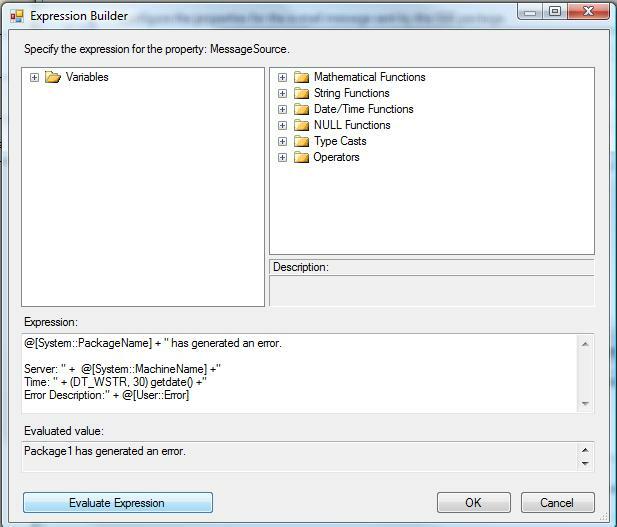 Next click on your script task and configure the System::ErrorDescription variable as your Read Only variable and the recently created User::Error variable as a Read Write Variable. Most will agree that this step is not necessary, however, I have encountered issues where variables were ‘locking’. 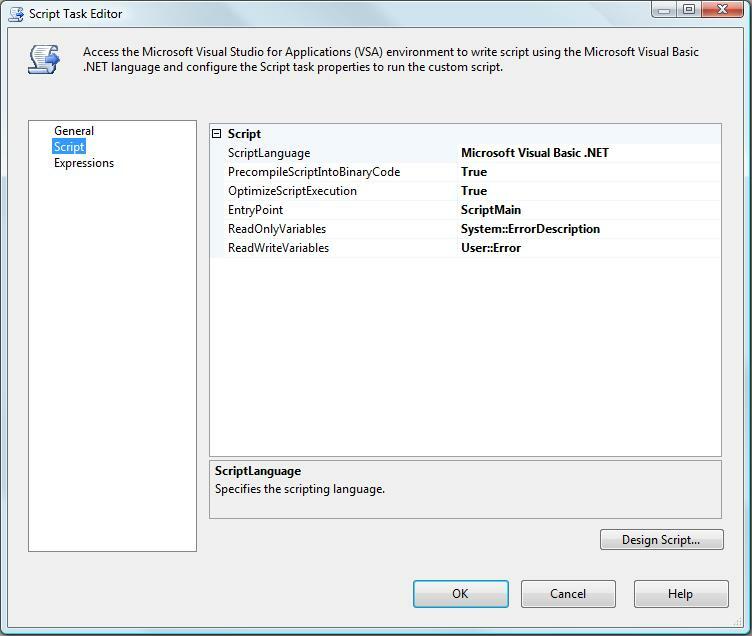 Microsoft didn’t really have an explanation for the variables locking, but this script task prevents any chance of locking by copying the System variable to a User variable. 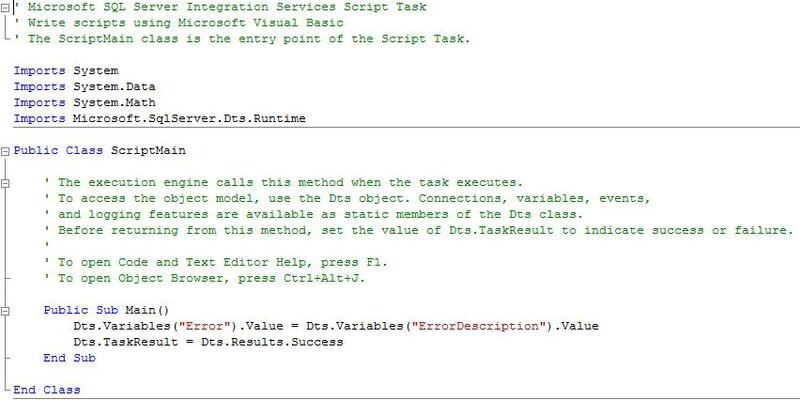 Once you have configured your script task, click on edit script and copy the below script. 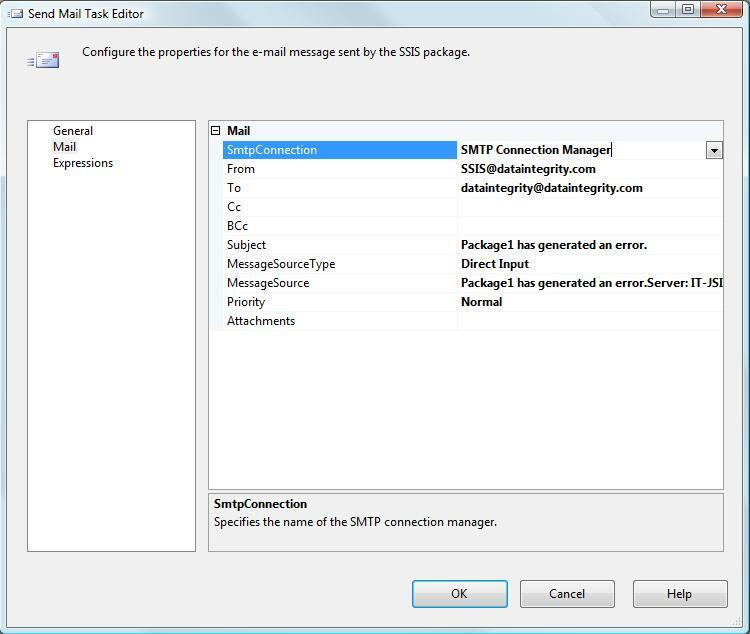 Now, with your script task configured, click on your SendMail Task and configure your SMTP server along with the relevant information in your ‘From’ and ‘To’ lines. 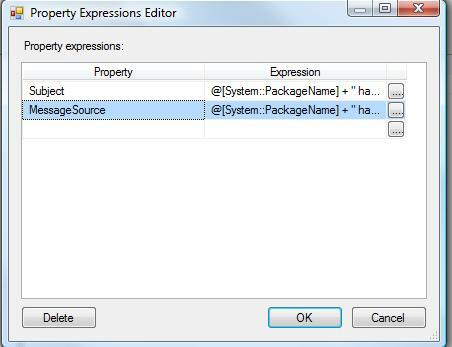 Next, click on the expressions tab and add a new expression to the ‘Subject’ property. 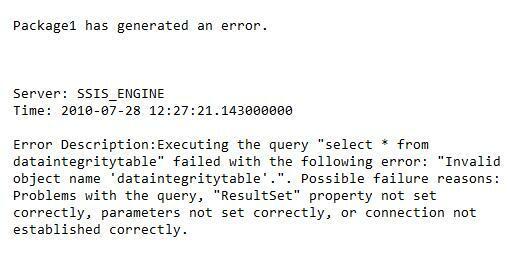 @[System::PackageName] + ” has generated an error. With your event handler complete, execute your package (if you’re a super good developer, you might have to force an error) and watch the event handler kick off. 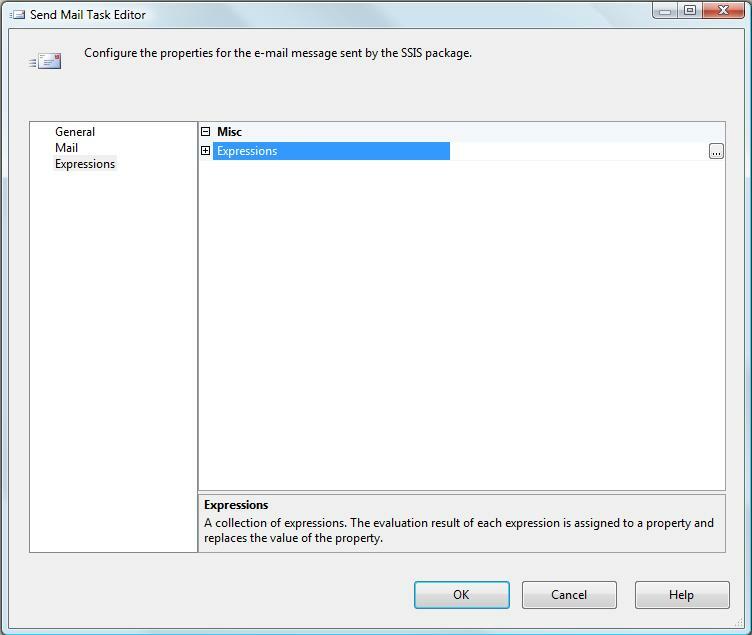 Below is a sample email output. This entry was posted on July 28, 2010 at 7:34 pm and is filed under SSIS. You can follow any responses to this entry through the RSS 2.0 feed. You can leave a response, or trackback from your own site.